I love anything that will make my life more simple and beautiful. So naturally I love any DIY beauty products. Oh how I LOVE beauty products. 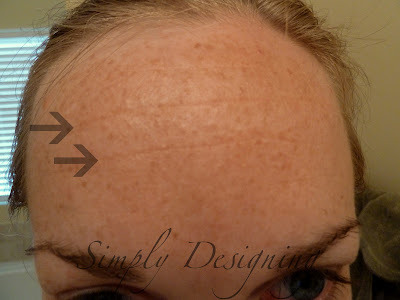 I already told you how much I love my Clarisonic, but today I want to tell you about a product that was new to me: the LightStim for wrinkles. 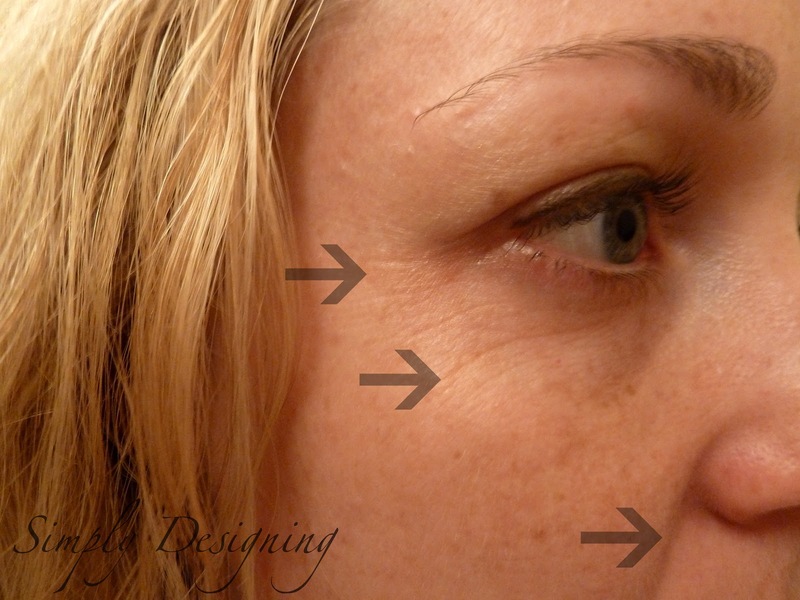 The LightStim for wrinkles uses LED light therapy to build collagen and elastic. Simply put, it helps remove fine lines and wrinkles and it can help you have smoother looking skin! All in one easy to use at home device! What’s not to love about that!? But first, I will be the first to admit that I don’t have a ton of wrinkles. I was blessed to have skin that doesn’t get bad stretchmarks from having babies nor do I have many wrinkles…yet. I have been lucky, but I know this won’t be the case forever. And I certainly wouldn’t mind being proactive by using anti-aging products to help the wrinkles and lines I do already have. Extra collagen always seems like a good thing to me, right?! I’ve put arrows where the major offenders are at in the above two photos. Like I said they are not too bad but I was still excited to see what the LightStim was able to do! As you can see, with just a couple weeks of usage, I was already seeing some results! How cool is that!? I love that the LightStim is easy to use. I love that I can use this while relaxing and catching up on my favorite fall shows! You use the LightStim for 3 minutes in each problem area. 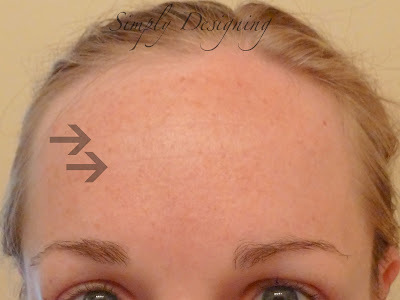 I used it in two places on my forehead, on the edge of each eye and around my laugh line area for a total of 6 places. Six places for three minutes is 18 minutes a day, 5 days per week. That is less then 20 minutes a day and since I DVR all my shows, it is the equivalent of one 30 minute show! In just a couple weeks of usage I already noticed a difference and I am so excited to continue using this great beauty gadget! 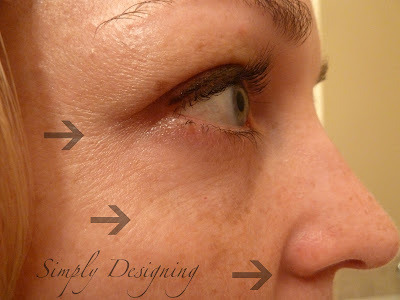 I love anti-aging products and have used several lotions and face products in the past, but the results from the LightStim for wrinkles far exceeds any other anti-aging product I have ever used! I am simply amazed at how quickly I saw results!! Plus one of the best parts of this is that I don’t have to make an appointment at a dr’s office, I don’t have to pay every time I need a treatment and I don’t have to find a babysitter for my kids! The LightStim is lightweight and easy to hold in your hand. It is so simple to use and doesn’t take much time for fabulous results! 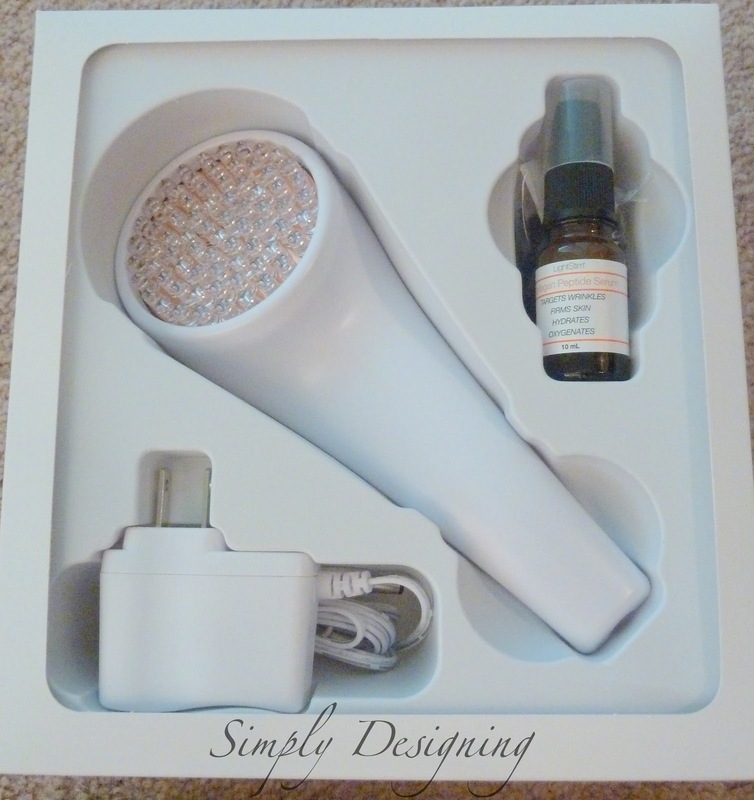 I really love everything about this great beauty gadget and will continue to use this for a very very long time! The LightStim is my new favorite anti-aging product! What is your favorite product, way or tip that you use to keep your skin younger looking? I was not compensated for this review, however I was sent a LightStim to use in order to evaluate it for this review. All opinions are 100% mine. Please visit the LightStim website for more information.